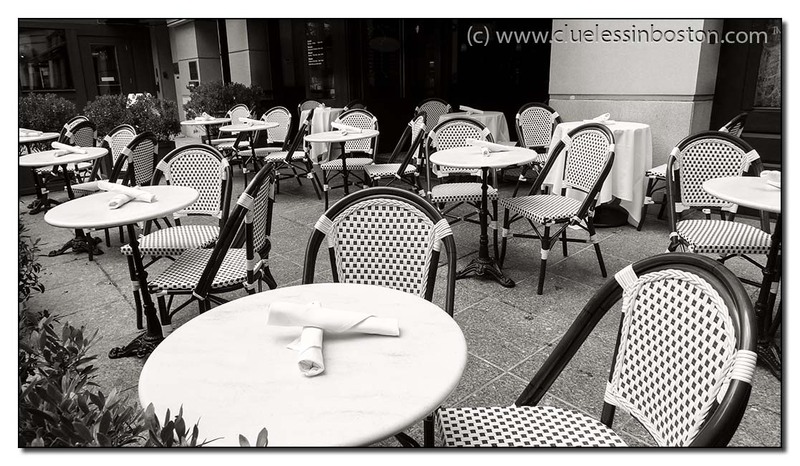 Outside restaurant tables on Boylston Street. Very nice and elegant shot. Looks like a classy joint. Charming composition, it's beautiful in b&w! Can drop some coin here, I bet. TWO for the 4th! I love this one, the chairs look like they're waiting expectantly for folk to arrive and be seated!! Not that I know much about cafe style in other countries. Give it a few more minutes, and it will busy for lunch.